A friend of mine used to work for Southland Corporation, which at the time owned and operated 7/11 convenience stores. Their corporate culture compared admirably to that of IBM in its heyday; strict and procedure-heavy. During its zenith, Southland raked in obscene amounts of money in blue Slurpees and cigarettes. My friend was a district manager running herd over about 27 stores in the D.C.- Maryland area and making about $90,000 a year plus perks. Not bad for a 26-year in the early 80’s. So why did he quit? One evening, he received a call at about midnight that one of his store’s employees had been shot and killed in a robbery. The employee, a Pakistani immigrant, had taken a part-time temporary job at the store to buy Christmas gifts for his family. After that, my friend couldn’t sleep at night. Every time the phone rang after ten o’clock he re-lived the call from the police telling him that the man he’d once seen taking the bones out of an entire chicken from the inside without breaking the skin had been killed in one of his stores. Robberies became such a problem that Southland Corporation hired Ray D. Johnson, who became the first maximum-security prisoner to escape from Folsom Prison as an anti-crime consultant for the company and an anti-crime lecturer. At the OXXO, instead of thinking, “Mexico is so dangerous!” I thought about Southland Corporation. Even at my fancy old-school Virginia brokerage firm, the one time I went there to pick up a physical check, the cashier delivered it from behind a bullet-proof glass window. We don't notice these things in the U.S. but they stand out when you are unnecessarily paranoid about safety in Mexico. Knowing this about convenience stores in general, I didn’t mind too much when one Saturday night in northern Mazatlán when I realized that enchiladas would be difficult to make without tortillas and had walked over to the nearby OXXO Mexican convenience store, a window had been set up to make purchases from outside the store. About 10 people waited patiently as the solitary employee would ask the next person in line what he wanted through the window, run around the good-sized store to locate it, ring it up, and make the transaction through the window. I stood in line for 25 minutes for ten centavos worth of tortillas. I’d been to that store a hundred times and had never seen this set-up. This particular OXXO store is located along a green and canopied stretch of boulevard affronting affluent beachfront high rises. It seemed an unlikely place for a holdup to me. I was wrong. According to studies, ease of escape, which this wide boulevard provided, made the store an attractive target. That, coupled with the likelihood of more cash in the drawer because it was a huge vacation weekend for Mexican nationals, made the store more vulnerable to robbery than those in the central tourist areas jammed-packed with people and traffic. That same night also marked the first time in my four years here that the security guard in the parking lot of the resort where I live warned a friend and me not to carry too much cash with us as we walked out that night. Both instances brought to mind how much of a difference four-years in Mexico makes. If I’d come across these situations in my first six months (and on the same night! ), it would have reaffirmed my predisposition of Mexico as a more dangerous place than the U.S.
After four years here, I compare circumstances more logically. Instead of surmising in my resort parking lot that “Mexico is dangerous!” I thought about crime in U.S. cities when they host the Super Bowl. Probably spikes up considerably. A quick search ion the internet (in both English and Spanish) demonstrated roughly the same instances of shootings in and around OXXO’s as 7/11’s in both countries. Yes, some important things, language, the level of police corruption, cuisine, processes are different in Mexico. After a few years here though, once you start making true comparisons. You'll find many, many things are not. Related link: Is Mexico Safe? One of my first experiences related to answering that question. Mérida is a top spot for aspiring expats. Learn a little about it and Mexico from a "If Only I Had a Place" (my book on renting in Mexico) rental concierge. Next up: Preparing you for your first rock concert in Mexico. 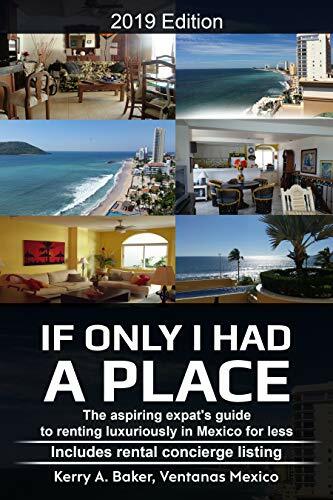 Kerry Baker is a partner with Ventanas Mexico and author of this blog as well as two books; most recently "If Only I Had a Place" a guide to the aspiring expat on how to rent in Mexico properly and luxuriously. The book gives you both a how-to and a fluid system to establish your best expat life. 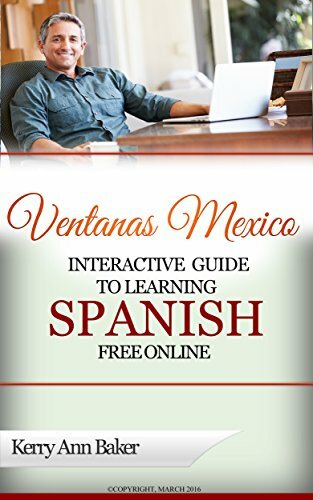 Her first book, "The Interactive Guide to Learning Spanish Free Online" is a five-star curation of the best teaching websites and features on the web, with interactive links.